A screen grab from the brand new Pellpax Shooting Diary App: Keep track of your shooting progress. Here at Pellpax, we love to go the extra mile to make our customers happy. 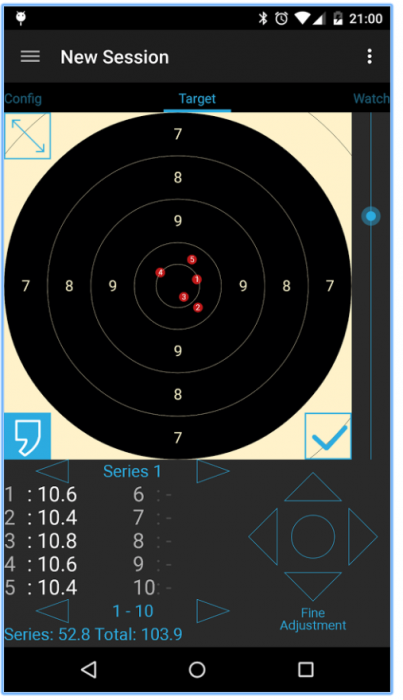 To that end, we’ve produced a very special special shooting app that allows users to keep a track of their progress with shooting. It contains a multitude of features, including the a timer, a diary / score keeping system, and integrates with your camera, so you can take a picture of your shooting target, after you’ve been practising. The diary contains a host of different target types (ISSF Air Rifle 10m, 25m, Soft Air, Pistol, etc), and allows you to make a note of which weapon you have used. This comprehensive app will allow you to monitor your development and help you to get your shooting the next level. On top of all that, the app allows you to access the Pellpax mobile store, making it super convenient to top up on ammo and treat yourself to a new weapon. The Pellpax Shooting Diary is free on the Google Play app store (Android only, for now).